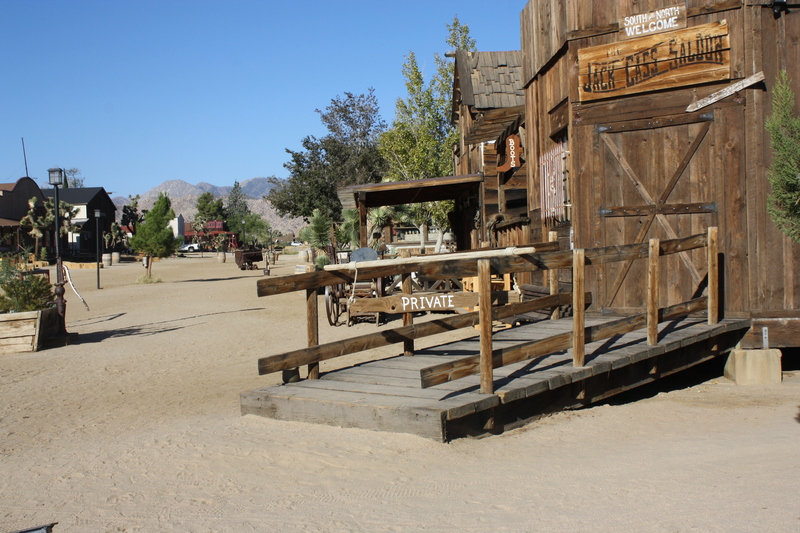 Grab your saddle and trusty horse pod’ners and get ready to discover the Old West. I’m not talking about visiting a museum either. 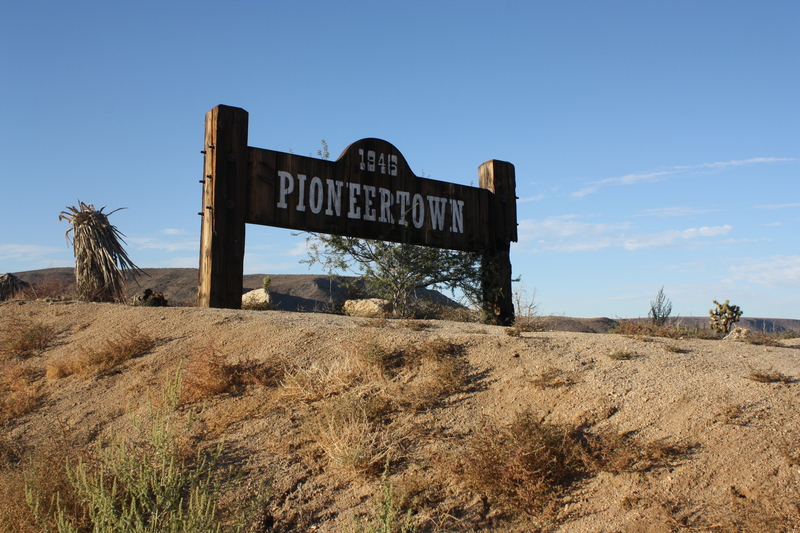 I’m talking about the fully-operational Pioneertown in Southern California. 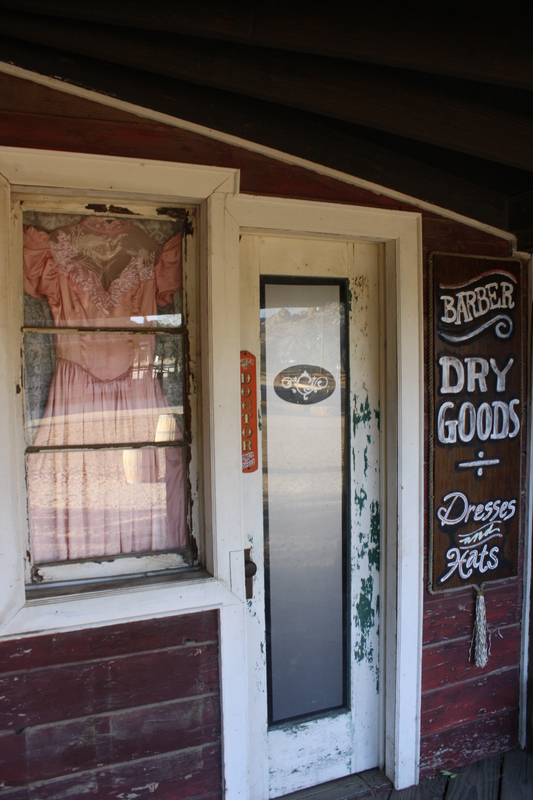 Yes, you read correctly, Pioneertown. The place where all your Western dreams come true. 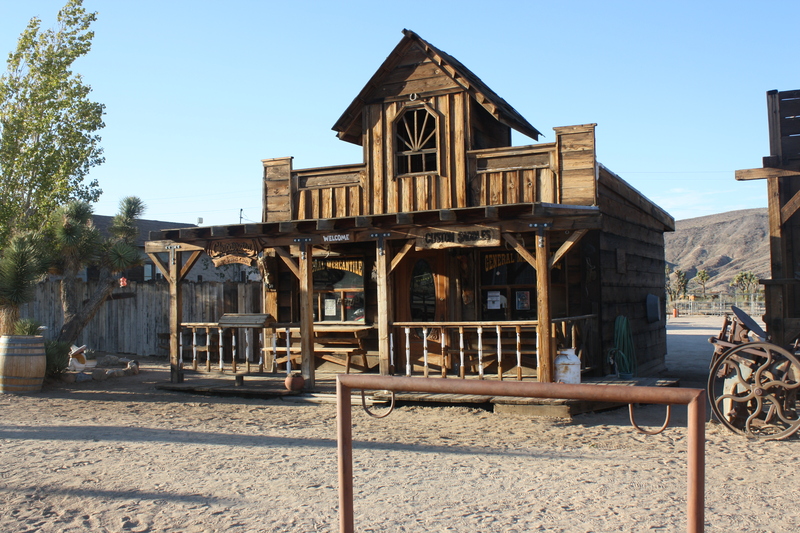 If you’re a fan of the Old West films and television shows, this unincorporated community village is your slice of heaven. 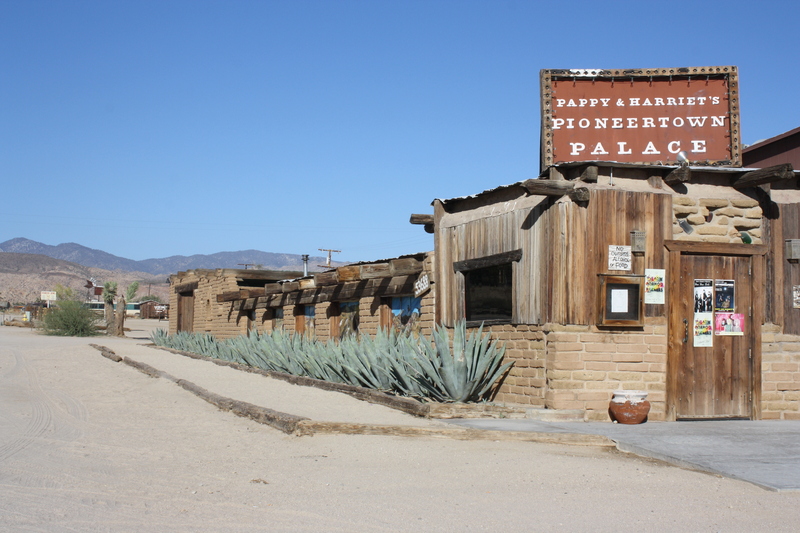 Nestled in the high desert in the Morongo Basin region of Southern California, Pioneertown came to fruition in 1946. 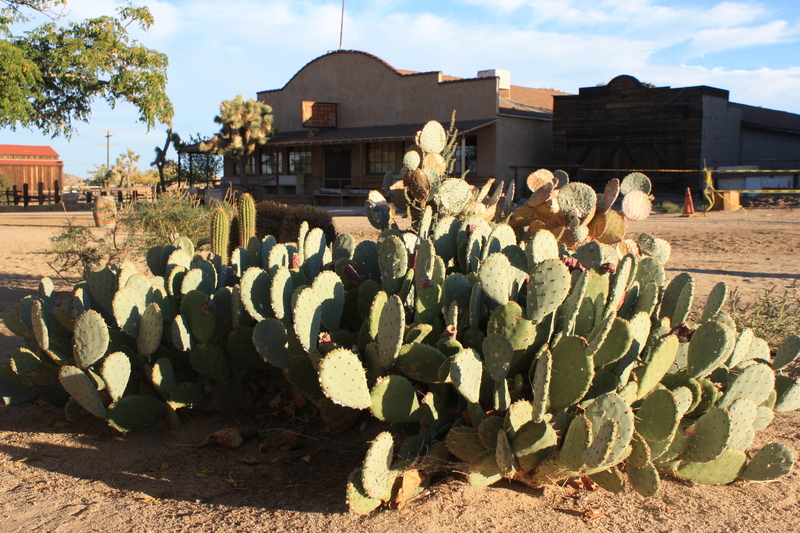 The town’s purpose (other than being so totally cool) started in the 1940s and it was to serve as a live-in Old West motion picture set to the Hollywood stars. Makes sense, considering Los Angeles is only a couple of hours away and the surrounding land is perfect for a western film set. 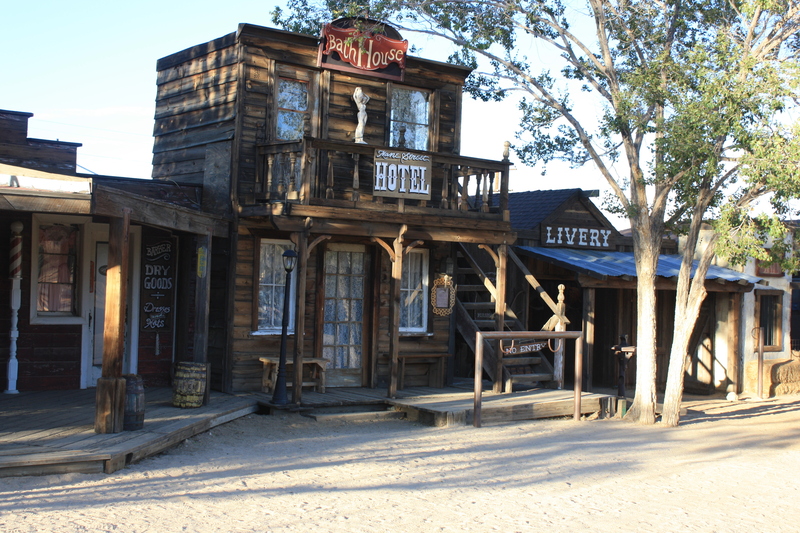 The entire set was designed to look just like an 1800s western town but with live-in capabilities to accommodate the stars while they filmed. 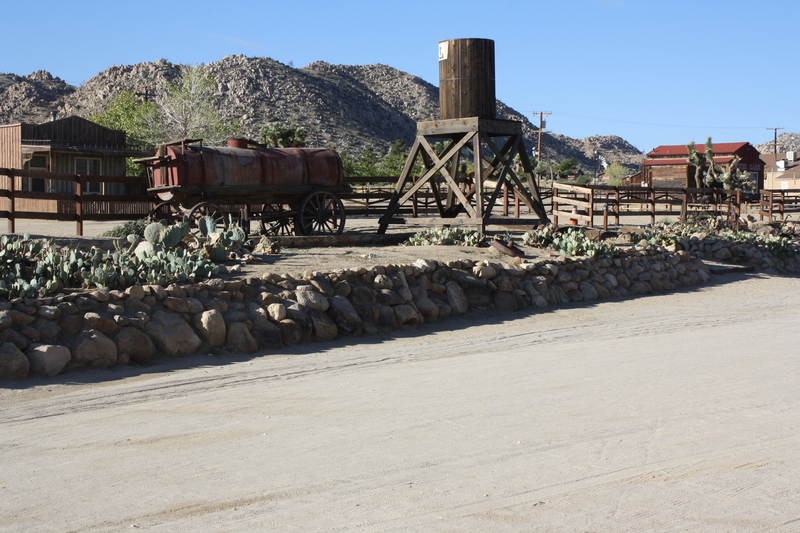 Many films were shot here during the 1940s and 1950s. 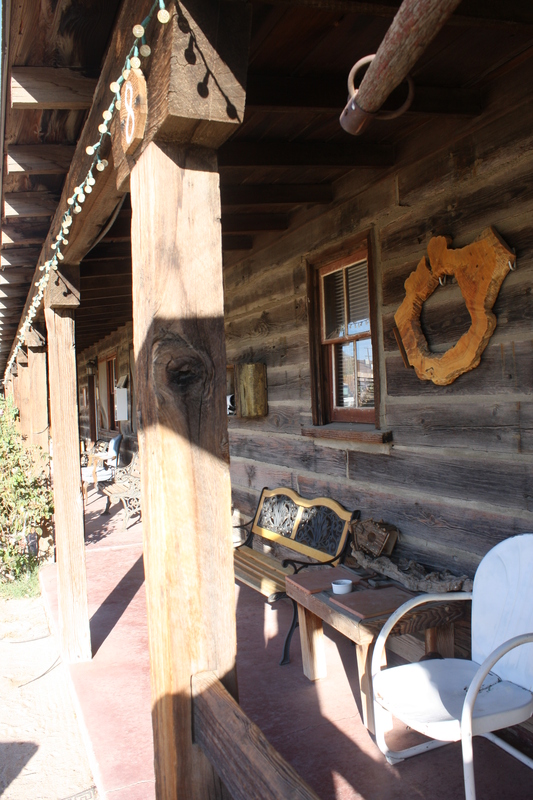 Roy Rogers and Gene Autry are among the famous that were responsible for this Old West Town. 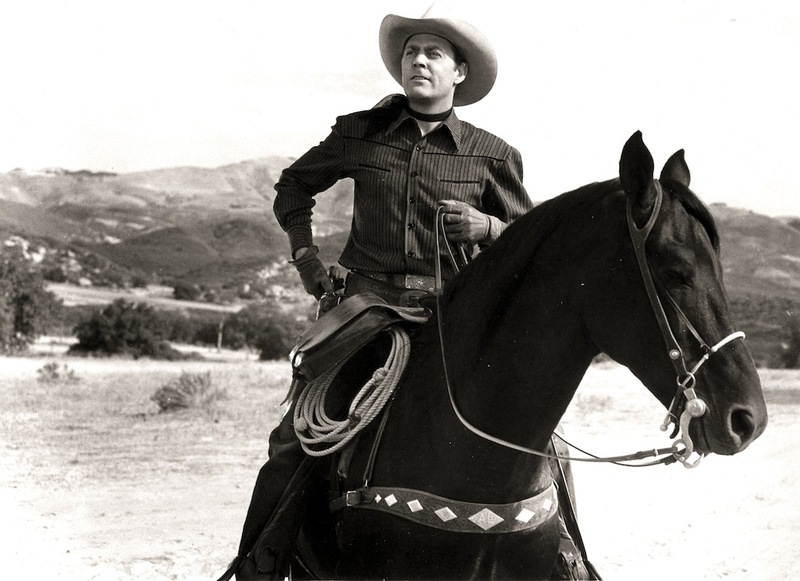 Roy Rogers was one of the original investors of Pioneertown. 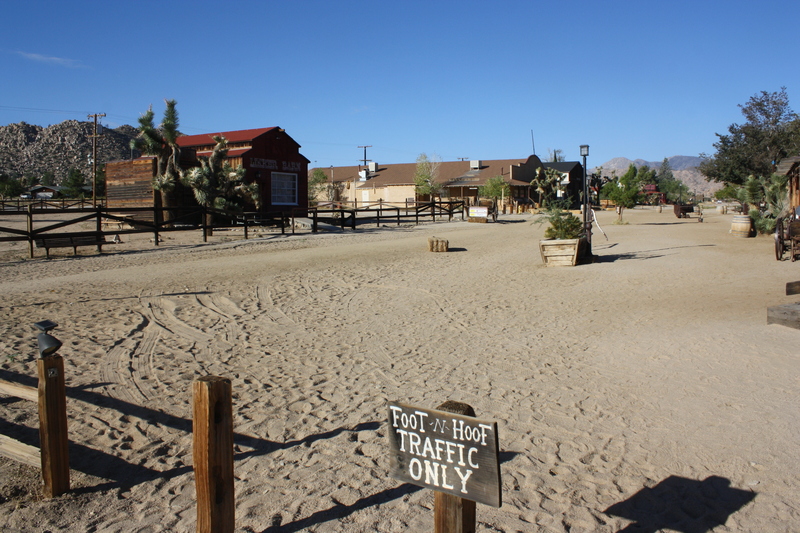 As you walk down the “main street,” you completely get the feel of a western town. 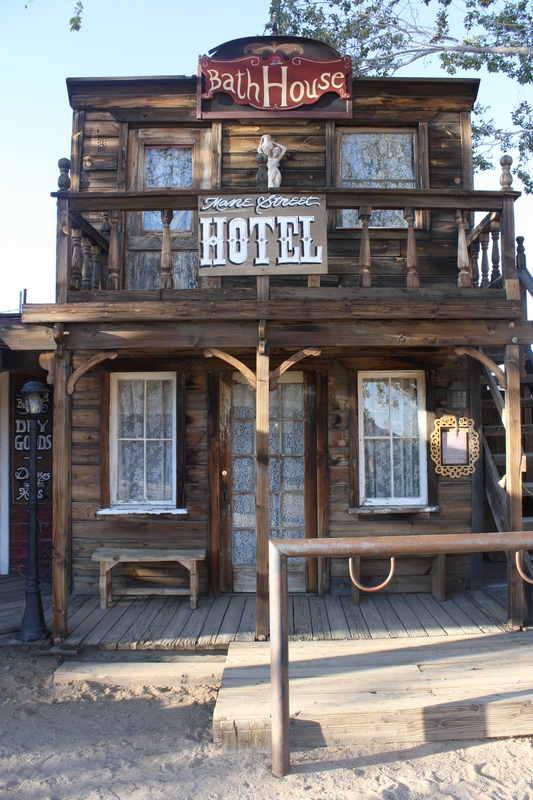 Complete with saloon, bathhouse, undertaker business and livery, just a name a few of the buildings. 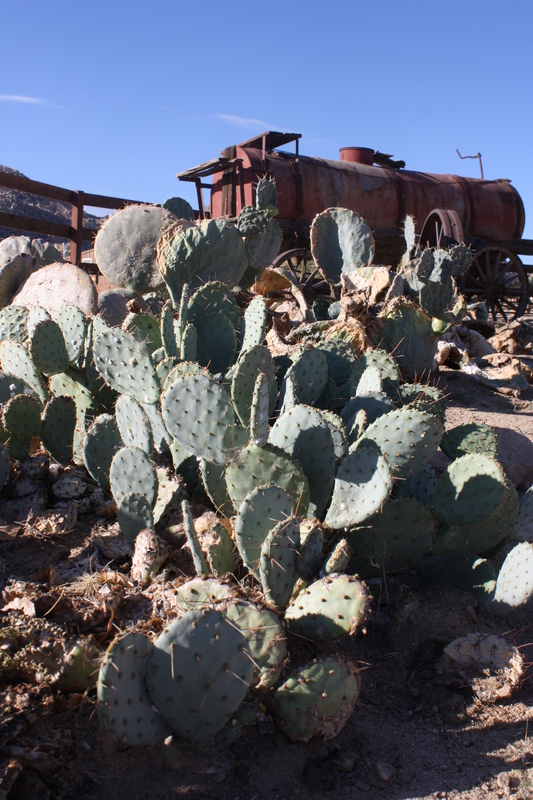 You’ll be humming the Marty Robbins tune, “El Paso” as your spurs kick up the dirt underneath your feet. If you get the chance to visit this place, don’t feel like you’re too far off the beaten path if you need to rest your weary bones. 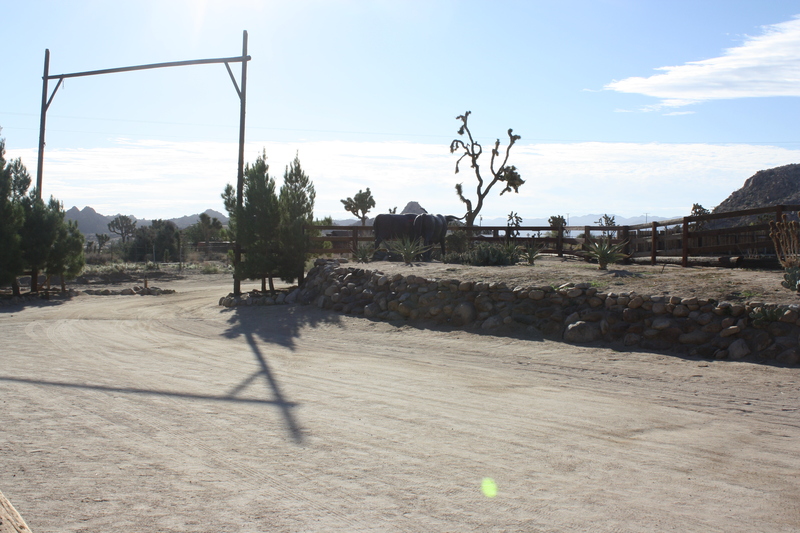 On the property there is the Pioneertown Motel that will give you a place to rest your head. You won’t be sleeping in a tent either. 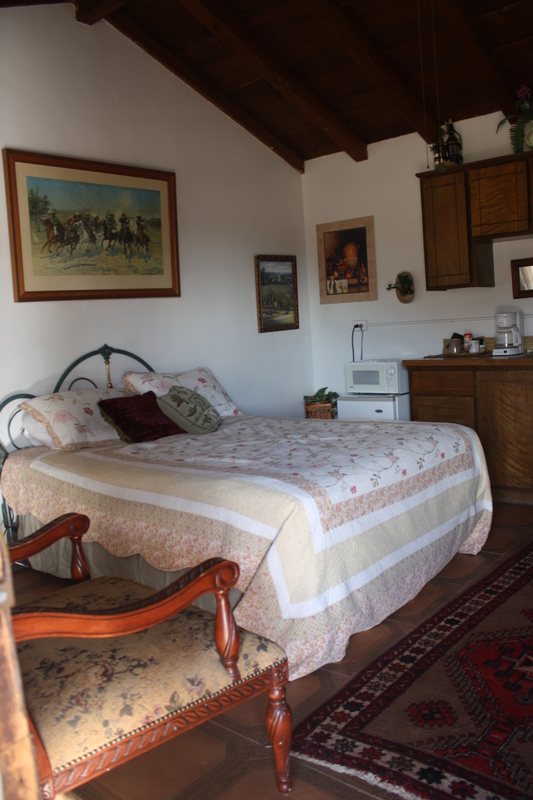 This small yet charming western motel offers rooms with a bed, bathroom, kitchen sink, and microwave to travelers. 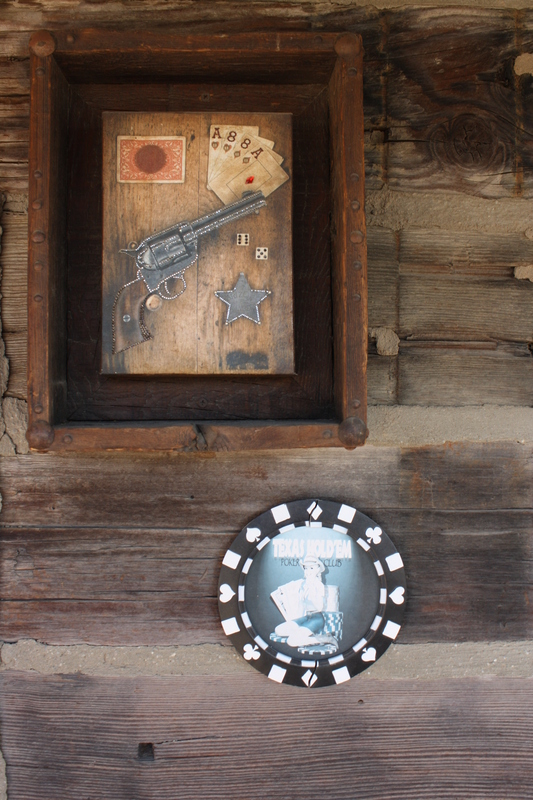 However, I must heed a warning: be ready to live up to Pioneertown’s way of life. You’ve heard of no shirt, no shoes, no service. Well, be ready for no t.v., no radio, no service, as in internet service. 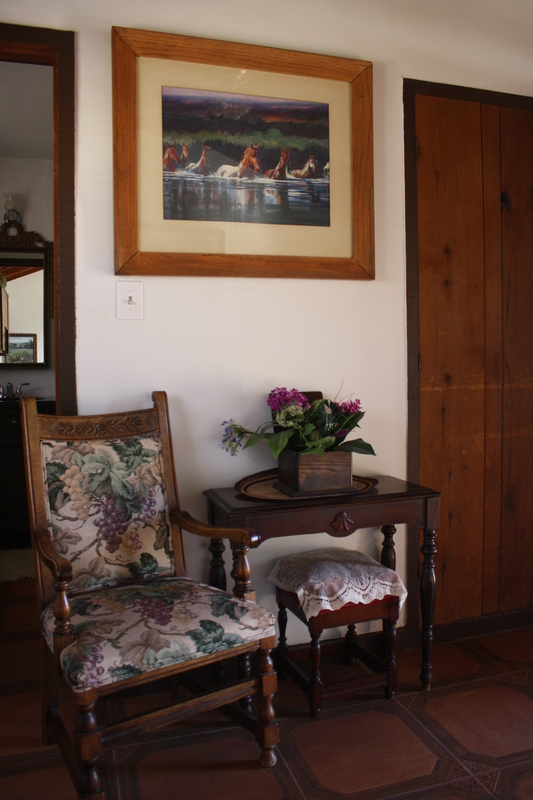 My husband and I did have the pleasure of staying here and I must say, it was quite refreshing to unplug for a while. So if you’re okay to forgo the electronic entertainment we’re all use to, bunker down for a night’s stay in this unique place. Just make sure you bring a book or companion to keep you company. And just remember, you’ll be “sleeping” with the stars as this is where they lived and worked. 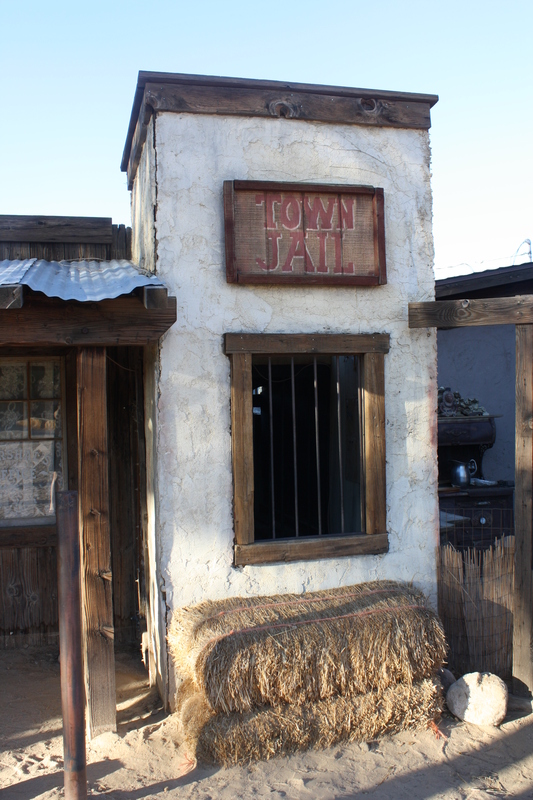 Don’t be imagining you’ll be counting tumbleweeds blowing by as your only source of entertainment. 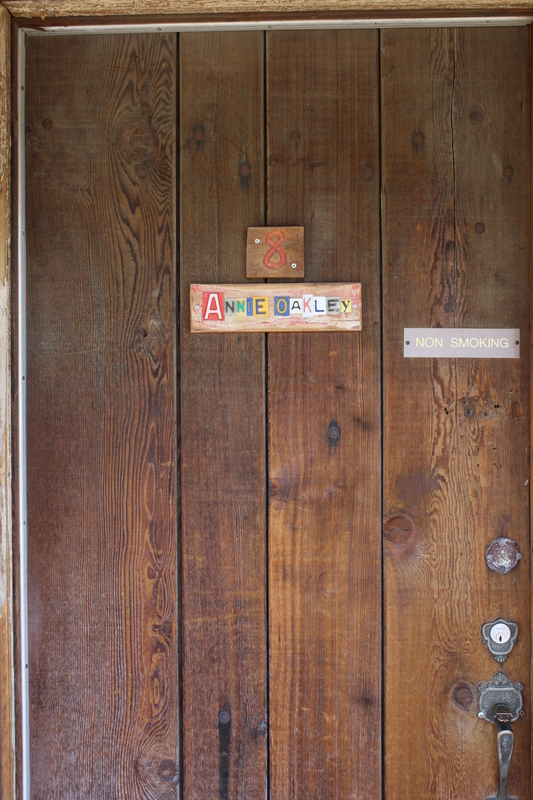 On the property is a live music venue called Pappy & Harriet’s Pioneertown Palace. And if you’re hungry, they’ve got you covered with their full menu. The venue has changed hands a few times since it’s inception in 1972. But the current owners have kept the 1982 owners’ names on the bill and have brought in musicians such as Robert Plant and Vampire Weekend. 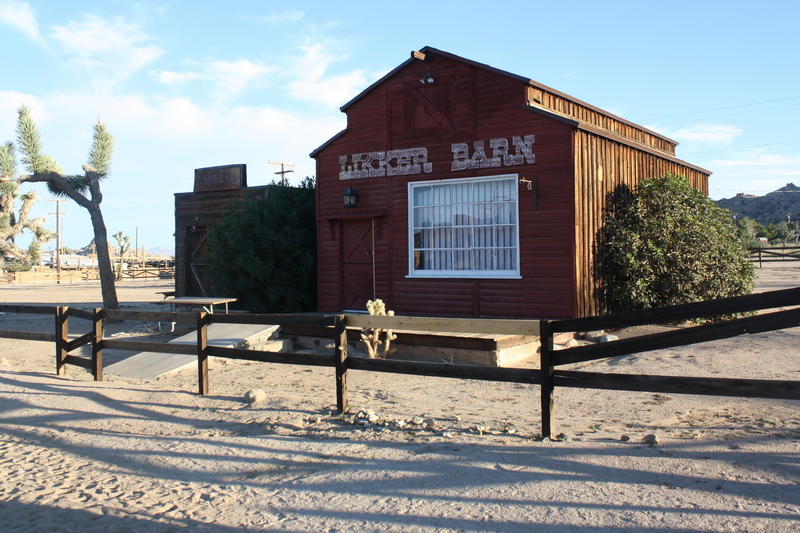 One cool fact among many about Pioneertown is the bowling alley on the property. I mean, the famous stars had to have activities while they worked, right? Apparently, the bowling alley is one of the oldest in continuous use in California. So if you’re passing through these parts, I highly recommend you take a gander at this western wonder. 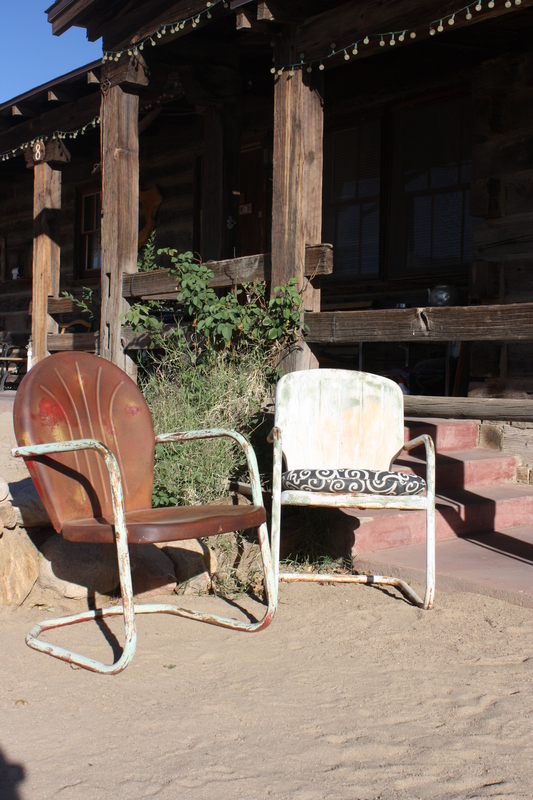 Be sure to soak up the entertainment, stay for a spell and imagine you’ve been transported back into the historic American Western frontier.